After this week’s ringing defeat for Theresa May’s Withdrawal Agreement she has attempted to open cross-party talks but has been thwarted by Jeremy Corbyn. After this week’s ringing defeat for Theresa May’s Withdrawal Agreement she has attempted to open cross-party talks but has been thwarted by Jeremy Corbyn. He continues to hold off Labour MPs pressing for a second referendum with his ‘take no-deal off the table’ pre-condition that he knows the PM cannot accept. Corbyn’s reluctance to endorse a second vote is, from our point of view, encouraging. It is clearly counterproductive to take no-deal off the table and we assume that Theresa May will not do so. Nor is she likely to accept a second referendum even though Parliament will try to force her hand on this. Now is the time for renegotiation, something quite possible since Brussels has already offered most of the key elements of a satisfactory deal. A Canada-style free trade deal, is an option which the EU has put on the table on a number of occasions (most recently last October). Several important mutually advantageous side deals are also on offer. These elements are part of almost everyone’s preferred options and can easily be agreed as a baseline. No deal can then only occur if the EU withdraws these offers and refuses to negotiate further. It is hardly likely to do so, since these elements are so clearly in its own interests. Even so, a no deal option must be left on the table. To rule it out puts us at the mercy of EU demands and could be the thin end of the wedge of not leaving at all. Here at BfB we have already outlined why No Deal is nothing to fear, but like most Brexiteers we do not view it as optimal. Theresa May appears to be trying to preserve her Withdrawal Agreement minus the Irish backstop which she is rumoured to wish to replace with a UK-Irish treaty. The Irish are likely to attempt to merely replicate the backstop, but this UK initiative should usefully eat up more time and delay attempts to secure a second referendum or Norway solution. If remainers look like succeeding in short-circuiting this process with their own favoured options it seems likely that the ERG will threaten to provoke a general election. 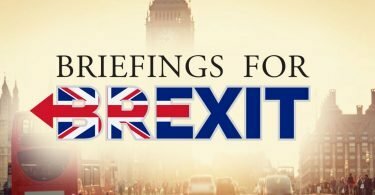 For details of how such a Brexit could be smoothly implemented, taking advantage of WTO rules, do look at proposals put forward by MEP David Campbell-Bannerman this weekend. Robert Tombs writes in today’s Sunday Times under the striking heading ‘Brexit offers a safe port in a global storm’. The article reprises classic Tombsian themes, emphasising the Remainer Revolt’s reliance on a belief that European integration represents progress, on declinism and on a view that the lower classes should not be trusted with major political decisions. 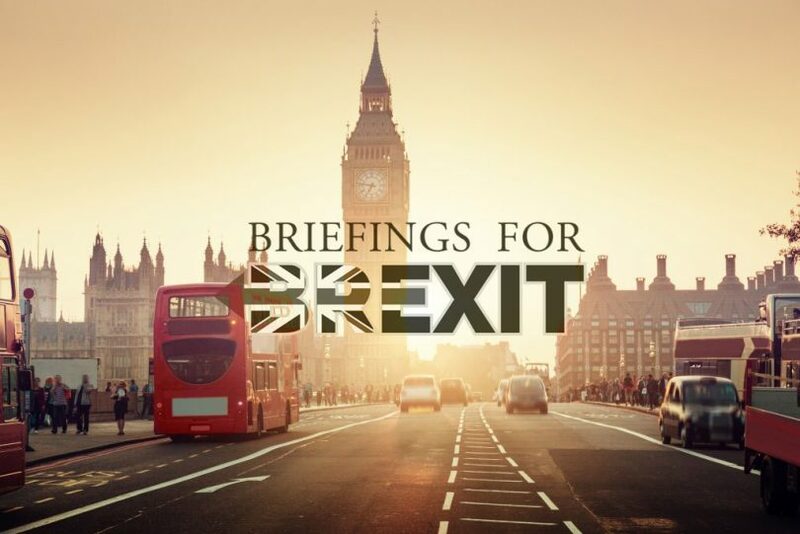 Regular contributor Richard Ekins, Professor of Law at Oxford University, penned an article for The Telegraph setting out the constitutional issues currently besetting the Brexit process. We are also delighted to announce the publication of The Case for Brexit, a book in the ‘Bite-sized Book’ series, which features short chapters written by a number of our contributors, including Graham Gudgin, Robert Tombs and Gwythian Prins. In the Cambridge student press, Robert Tombs and others have been interviewed by Varsity about the impact of Brexit on universities. This comes in the wake of the publication in The Guardian of a letter from Robert and other pro-Brexit academics, arguing that fears of a no-deal Brexit have been overstated. Sir Noel Malcolm’s article in BfB showed precisely why this is so – an article that the Cambridge University website has repeatedly refused to publish. Theresa May’s Withdrawal Agreement has been sold as the solution to our farming problems, but the transition period will only ensure that EU farmers continue to be subsidized to a greater extent than their British counterparts, with Westminster surrendering any power to change this. The jewel in the crown of the UK’s economy – the City – is at risk from EU attacks through a financial transactions tax (FTT) under the terms of the WA. Any FTT, which is due to be discussed by the EU leaders in early 2019, would drive key financial industries from the UK and potentially incur losses of up to 3% of GDP, or around £60bn each year. Historian Daniel Robinson warns that the fundamental differences between British and European approaches to politics, and the plight of those who have suffered from the manifold failings of the EU in the past decades, should encourage Parliament to break away from the mediocre EU, as per their 2016 mandate. This article explores the puzzling question of why Theresa May rejected the EU’s offer of a Free Trade Deal. Phillips cites evidence that the EU is still prepared to agree a free trade deal on the UK’s own red-line terms of no customs union or single market or ECJ control – but only if it believes that the UK will otherwise leave with no deal. On the day of the PM’s disastrous Withdrawal Agreement was defeated in Parliament, a diverse panel of Leave supporters explain their positions. Brexiteers, including John Mills, a businessman who is Chair of Labour Leave, Robert Tombs, Emeritus Professor of History at Cambridge and numerous MPs, explain their convictions.